The Ancona Shower Panel System is a Oil Rubbed Bronze Shower Panel that comes with a variety of features like Rainfall Shower Head, Body Shower Jets & a Hand Shower. The Ancona Shower Panel System is made of Stainless Steel & is wall mounted which comes with all the accessories required for installation. I like the design of this shower panel, and I actually thought that this was a better choice than the shower set I was looking at prior to coming upon this one. The finish looks awesome, though it seems lighter than the one shown in the product image. But aside from that, everything else was as shown in the product description. The shower panel itself is excellent, there's really nothing to complain about it. 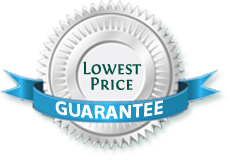 All the features mentioned in the product description are present and working well. If there's one thing that I would complain about regarding this purchase, that would be the delivery. I don't know why it took that long (about three weeks) but I'm glad that it came anyway. So this is the first time I'm ever going to have one of these things installed but I was pretty sure that it was gong to be worth it. Sure, rather expensive, but definitely worth it. 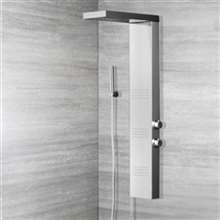 I love my shower now, it just looks so modern and inviting, but the function, the body jets, these are the best parts. I love using those body massage jets, they make every bath more refreshing and rejuvenating. Two thumbs up for this.